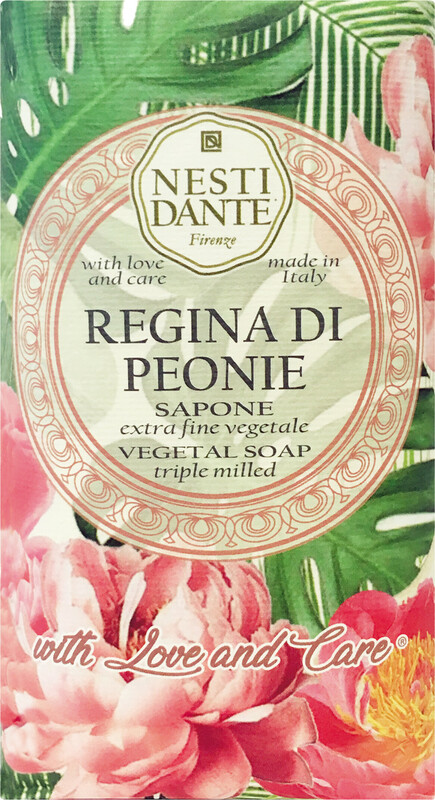 Bathe in a shower of petals with the Nesti Dante With Love and Care Regina di Peonie Soap, a vegetal triple milled soap made with refined oils. Regina di Peonie is a tribute to the peony flower, a symbol of optimism. This beautifully scented soap will uplift the senses with its feminine and fresh fragrance, making the perfect any addition to any pampering body regime. Work into a lather on damp skin, and then rinse thoroughly. Mineral oil-free, paraben-free, petrochemical-free, sulphate-free, synthetic-surfactant free, Glycol-free.